Savannah Hauer was selected by her peers to receive the 2011 WQHYA Booster Award. Savannah was presented with a beautiful trophy at the Wisconsin Quarter Horse Association banquet that was held at the Radisson in Green Bay on January 28, 2012. Rebecca Priske was selected by her peers to receive the 2011 Wisconsin Quarter Horse Youth Association Sportsmanship Award. Becca was presented with the award at the Wisconsin Quarter Horse Association Awards Banquet which was held at the Radisson, Green Bay in January. Congratulations to Aubrey Alderman and Zippos Tiger Bar! Aubrey and Zippos Tiger Bar have earned the American Quarter Horse Association 2011 Rookie of the Year Award for the state of Wisconsin. This horse and rider team was also in the Top Ten Justin Rookie standings for the nation. 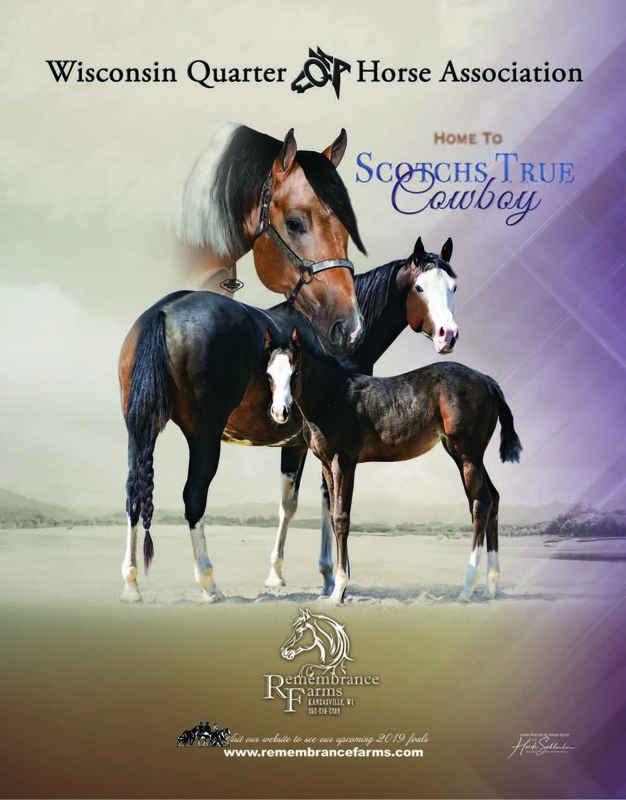 We are proud of all of your accomplishments in the 2011 show season! The WQHA Scholarship recipient for 2011 was Abigail Reikowski. In her past position, Abbi was a Social Director for WQHYA and has been a youth member for four years. In 2012 Abbi will be moving into the Amateur Division with a brand new horse, currently in training with Larry and Rhonda Spratto. She is planning to compete this coming show season in Showmanship, Hunter Under Saddle, and Equitation to name a few. Abbi is very busy working three jobs while attending UW Milwaukee as a full time student. I asked her about what the futureholds. She was quick to respond: her goal is to continue with her studies pointing to Occupational Therapy and working with children who are Autistic. Abbi's dream is to become a specialist at Children's Hospital in Milwaukee someday!! One last question to Abbi was what she would do to make the Youth Organization better. She would try to have more gatherings of youth at every show. She so enjoyed the "Youth World", getting to know and meet new people, making new friends and enjoying being close to her fellow youth members. "I will never forget the experience, it was so much fun!!" I certainly felt honored to be able to choose Abigail for this years' WQHA Scholarship. It gives me a sense of compassion and complete confidence that she will truly help Autistic children and make a medical difference in our world of old and new health obstacles. Abbi, we'll see you down the trail wherever that leads…!!!! The 2011 All American Quarter Horse Congress was successful for our Wisconsin Youth. Congratulations to all of the youth who earned Championships, Reserve Championships, Top Ten placings and advanced to the finals. Special congratulations to Aubrey Alderman and Zippos Tiger Bar who earned the Reserve Congress High-Point Novice Youth 13 and Under Award. Aubrey Alderman & Zippos Tiger Bar: 10th Youth Horsemanship 11 & Under, 3rd Novice Youth Western Horsemanship 13 & Under, 3rd Youth Hunt Seat Equitation 11 & Under, 7th Novice Youth Hunt Seat Equitation 13 & Under, 9th Novice Youth Hunter Under Saddle 13 & Under, 2nd Youth Trail 11 & Under, 1st NSBA Trail 11 & Under, 6th Novice Youth Trail 13 & Under and 5th NSBA Novice Youth Trail 13 & Under. Rebecca Priske & The Perfect Gent: 10th Youth Hunter Hack 14-18 and 4th NSBA Youth Hunter Hack 14-18. Caitlin Bloyer & Iron Icon: 10th Novice Youth Hunter Hack. Calley Huston & Flippen Good Time: 10th Youth Hunt Seat Equitation 12-14, 1st Novice Youth Hunt Seat Equitation 13 & Under, 10th Novice Youth Hunter Under Saddle 13 & Under and 6th Youth Performance Geldings. Liberty Khazae & IE Mellow: 7th Novice Youth Hunt Seat Equitation 14-18. Olivia Prinsen & Dancin Inthetwilight: 8th Youth Hunter Under Saddle 12-14. Lauren Brischke & Minutes of Misdeeds: 10th Youth Hunter Under Saddle 15-18, 9th Non Pro Hunter Under Saddle Maturity Stakes and 3rd Non Pro Hunter Under Saddle Maturity Stakes-Limited. Colton Bound & Bound To Whiz: 6thYouth Calf Roping, 2nd Youth Breakaway Roping and 2nd Youth Dally Team Roping-Heading. Katelyn Anna Schultz & A Sweet Addiction: 9th Youth Showmanship 13 & Under. Jessica Greaves & WD Good Fellow: 8th Non Pro Hunter Under Saddle Maturity Stakes and 8th Non Pro Hunter Under Saddle Maturity Stakes-Limited. Alana Tietz & R L Im Not Passing: 8th Small Fry Western Horsemanship. 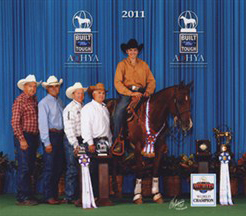 Wisconsin was well represented at the 2011 AQHYA World Championship Show in Oklahoma City. It certainly was a memorable show with two of our members earning World Championships and others earning Top Ten placings. Team members were Aubrey Alderman, Morgan Brickham, Colton Bound, Lauren Brischke, Rebecca Cardwell, Meghan Cram, Lauren Devoe, Jessica Greaves, Lexus Hoffman, Calley Huston, Gretchen Peterson, Rebecca Priske, Sarah Rice and Paige Swartzbaugh. Congratulations to the Wisconsin team for receiving the Division 2 Reserve Champion Team Spirit Award! Fun was had by all. Congratulations to all youth who advanced to the finals, semi-finals and shoot-outs! Thank you to everyone who helped to make the 2011 World Show a success, especially Rita Crundwell who donated directors chairs to all team members and The Brickham Family who donated team shirts and hats, and designed the awesome stall decorations. Thanks also to all of the families and trainers for their support and hard work. Most of all, thanks to all of the WQHYA members for their dedication, enthusiasm and tremendous effort. Great things happen when everyone works hard, supports one another, and enjoys getting to know each other.